In 1984, eleven researchers including Liu Chaunzhi started their business in a less-than-20-square-meter bungalow of Computing Institute under the Chinese Academy of Science (CAS); up to now, he has created a number of leading companies, including Lenovo, Legend Capital, Hony Capital. He constantly pursues increasingly ambitious goals and develops new business for Legend Holdings Corporation. Liu Chuanzhi has made a significant contribution to the company’s institution and mechanism construction, strategy development, business expansion, management methodology and culture, and talents training. Meanwhile, his work with Legend Holdings has produced a number of achievements that guarantee its development in the long run. Mr. Liu was born in Zhenjiang City of Jiangsu Province in 1944, and graduated from the People's Liberation Army Institute of Telecommunication Engineering (currently Xidian University) in China in 1966. He was a delegate of the 16th and 17th National Congresses of the Chinese Communist Party (CCP) and of the 9th, 10th and 11th National People’s Congresses (NPC) of China. He was the Vice Chairman of the 8th and 9th Executive Committee of All-China Federation of Industry and Commerce (ACFIC). Domestic and international honors received by Liu Chuanzhi include: First Place, China’s 2nd Time Science & Technology Entrepreneur Awards (1990); National Model Worker, China (1995); Asian Businessman of the Year, The Fortune Magazine (2000); Businessman of the Year, CCTV (2000); Asian Star, BusinessWeek (2000); Top 25 Most Influential Leaders in Business list, The Time Magazine (2001); Outstanding Individual in Promoting China-US Relations, Awarded by National Committee of US China Relations / NCUSCR (2005); Fifty Faces That Shaped a Decade, Financial Times (2009); Business Leader in a Decade of Economic Development in China, Businessman of the Year, CCTV (2009); Pacemaker – Most Influential Model Worker since the Founding of New China, All-China Federation of Trade Unions (2009); Entrepreneur for the World Award, World Entrepreneur Forum, Organized by France’s EMLYON Business School and KPMG (2010); Businessman of the Year - Lifetime Achievement Award, CCTV (2011); 50 Most Powerful Businesspeople in China, Chinese Version of Fortune (2012); 10 Most Powerful Businesspeople in China, Fortune/CNN (2012); Distinguished Executive Award, International Association of Chinese Management Research / IACMR (2012); The 15th Annual Meeting of Yabuli Chinese Entrepreneur Forum – the Most Thinking Entrepreneur of China (2015); Doctor of Business Administration honoris causa, Hong Kong University of Science and Technology (2016);15th Asia Business Leaders Awards – Lifetime Achievement Award, CNBC (2016);Order of the Italian Star Award, Italian Government(2017);Reform Pioneer and was awarded the "Reform Pioneer" medal,the Central Committee of the Communist Party of China and the State Council(2018). 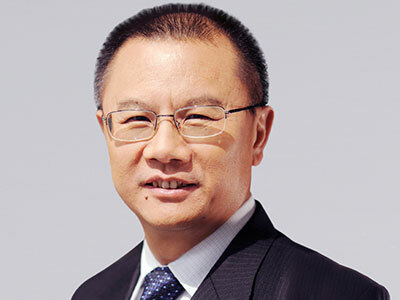 Chairman of Legend Capital Co., Ltd.
Zhu Linan joined Legend in 1989 and is currently the Executive Director & President of Legend Holdings Corporation and a member of the Executive Committee, responsible for the strategy formulation and implementation, organization and culture, and personnel selection and training. 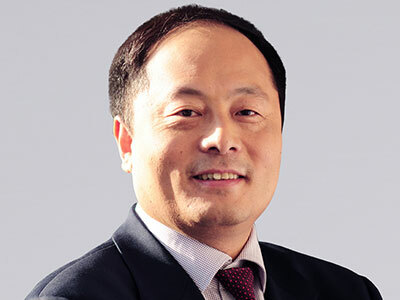 With his deep understanding and rich experience in business operation and investment, Zhu Linan led the company to creatively establish a unique two-wheel-drive business model of "strategic investments + financial investments" to keep pushing the strategy and business moving forward. He is the promoter and implementor of our major strategic transformation and business upgrading. Zhu Linan also serves as the Chairman of Legend Capital. In 2001, he set up Legend Capital (later changed its Chinese name to “Junlian Ziben”), a firm of Legend Holdings specializing in venture capital. As one of the earliest firms to enter the venture capital field, Legend Capital has become a top fund firm in China and has brought rich returns to investors. Its successful experience has also laid an important foundation for Legend Holdings in its following investments. 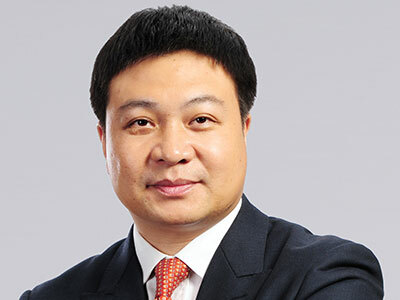 Zhu Linan served as the General Manager of Legend Shenzhen; General Manager of Legend's Business Development Division, Director of the Business Planning Office, Assistant President, Vice President, Senior Vice President; President and Chairman of the Board of Legend Capital; Executive Vice President and President of Legend Holdings. Zhu Linan graduated from Shanghai Jiao Tong University with a master's degree in electronical engineering and has got a title of senior engineer. He is now an expert who enjoys special government allowances from the State Council. Mr. John Zhao is the founder, Chairman and CEO of Hony Capital, a leading investment management firm in China. Mr. Zhao also serves as Executive Vice President of Hony Capital’s parent company Legend Holdings, as well as board member of Lenovo, Zoomlion, Jin Jiang International Hotels, WeWork, etc. Mr. Zhao is also Vice Chairman of Asset Management Association of China (AMAC) and Chairman of the private equity & buyout fund committee under AMAC; board member of the China Development Research Foundation (CDRF), governor of Our Hong Kong Foundation, and governing board member of China-United States Exchange Foundation. Mr. Zhao joined Legend Holdings and founded Hony Capital in 2003. Under his leadership, Hony Capital currently manages over USD 10 billion of assets and has invested in around 100 companies domestically and abroad. Mr. Zhao holds an MBA degree from the Kellogg School of Management at Northwestern University, dual Master’s degrees in Electronic Engineering and Physics from Northern Illinois University, and a Bachelor’s degree in Physics from Nanjing University. Executive Director and Senior Vice President of Legend Holdings Corporation, CFO, Secretary of the Board of Legend Holdings. 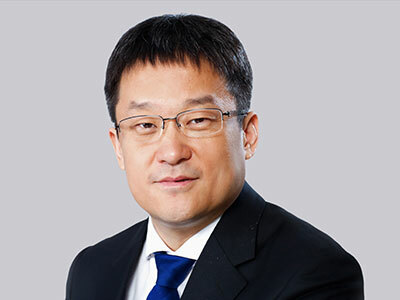 Mr. Ning is responsible for asset management, supervising public relations and investor relations, financial management, affairs related to the capital market, and the corporation’s office in Hong Kong. 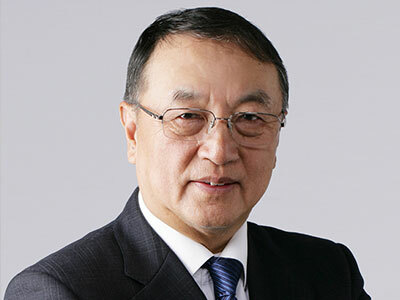 Mr. Ning joined Lenovo Group Limited in 1991, and has served successively as Assistant to the President, Assisting President and Deputy Director of Corporate Planning Office, Secretary of the Board of Directors, Assisting President and General Manager of Asset Management Department, and Senior Vice President and General Manager of Asset Management Department of Legend Holdings Corporation. Mr. Ning received the degree of Bachelor of Economics from Renmin University of China in January 1997, and completed the MBA course at the Graduate School of Renmin University of China in October, 2001. Member of Executive Committee Senior Vice President, Legend Holdings Corporation; Chairman, JOYVIO Group. Mr. Chen was appointed as a Senior Vice President and a member of the Executive Committee of Legend Holdings since 2011, responsible for the investment and management in its agriculture and food businesses. From 1993 to 2011, Mr. Chen served consecutively in Lenovo Group as sales manager, regional manager, regional deputy general manager, regional general manager, assistant president, vice president, senior vice president & president of greater China region, senior vice president & president of Asia-Pacific and Russia Region, and senior vice president & president of Emerging Markets Group. He served as a system administrator of the computing center of the Planning and Design Institute of the Ministry of Light Industry from 1992 to 1993. Mr. Chen obtained his bachelor’s degree in engineering from Beijing Institute of Light Industry (now known as Beijing Technology and Business University) in China in 1992 and an EMBA degree from Tsinghua University in China in 2005. He completed the Advanced Management Program at Harvard Business School in the United States in 2008. Chairman of Legend Star Investment Management Co., Ltd.
Senior Vice President of Legend Holdings Corporation;Chairman of Legend Star Investment Management Co., Ltd..
Mr. Tang Xudong is responsible for managing the investment of Legend Star and Legend Management Institute, supervising the Human Resources Department and other affairs related to administration and the Party office. 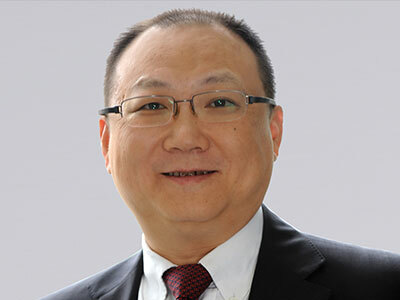 Mr. Tang joined Lenovo Group in 1990 and served successively as General Manager of the Legal Department, General Manager of the Human Resources Department, Deputy Director of the Corporate Planning Office, etc. After joining Legend Holdings Corporation in 2001, he has successively served as Vice-President and Director of Corporate Planning Office, Vice-President, Senior Vice-President and General Manager of Incubator Investment Department and Human Resources Department, and the Executive Chairman of Legend Management Institute. Mr. Tang graduated from Central Institute of Nationalities (now known as Minzu University of China) as a Bachelor of Law in July, 1986, and received an EMBA Degree for Senior Managers from the Cheung Kong Graduate School of Business in June, 2005. Senior Vice President of Legend Holdings Corporation. He is in charge of strategic investment. After joining Legend Holdings Corporation in 2003, he worked successively as deputy director of the Planning Office, general manager of the Investment Management Department and general manager of the Finance & Assets Department, assistant executive, vice president, and senior vice president & general manager of the Strategic Investment Department. He obtained a bachelor's degree in international finance from University of International Business and Economics in June 1994 and an MBA degree from University of New Hampshire in May 2001.